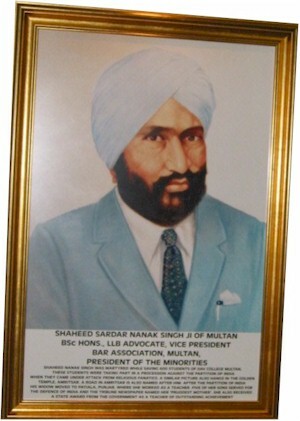 A Portrait of Shaheed Nanak Singh is installed in the Central Sikh Museum at Sri Harimandir Sahib ( The Golden Temple), Sri Amritsar. The Sikh's Holiest Place. 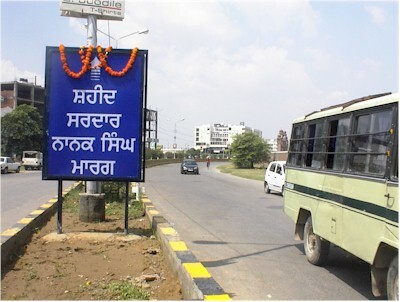 The Main Highway In Amritsar Has Been Named In Memory Of Shaheed Sardar Nanak Singh. Lt. Sardar Sadhu Singh and Lt. Sardar Ujagar Singh, INA, were given a rousing reception at Gurdwara Bhai Dayal ji yesterday evening in Multan. The sky was rent with loud cries of “SAT SRI AKAL” and they were both profusely garlanded by the members of congregation.In their speeches, the two brave Sikh officers, still in complete Sikh form and spirit, renewed their loyalty to the founder members of Indian National Army, General Mohan Singh and Netaji Subhash Chardra Bose, and described the heroic deeds performed by these two leaders and the other members of the INA. They renewed their own pledge of loyalty in public to make any sacrifices necessary for the freedom of their country. They declared that they had followed in the footsteps of General Hari Singh Nalwa, Akali Phula Singh and other brave national leaders who had lit the others’ paths by their own glorious deeds. 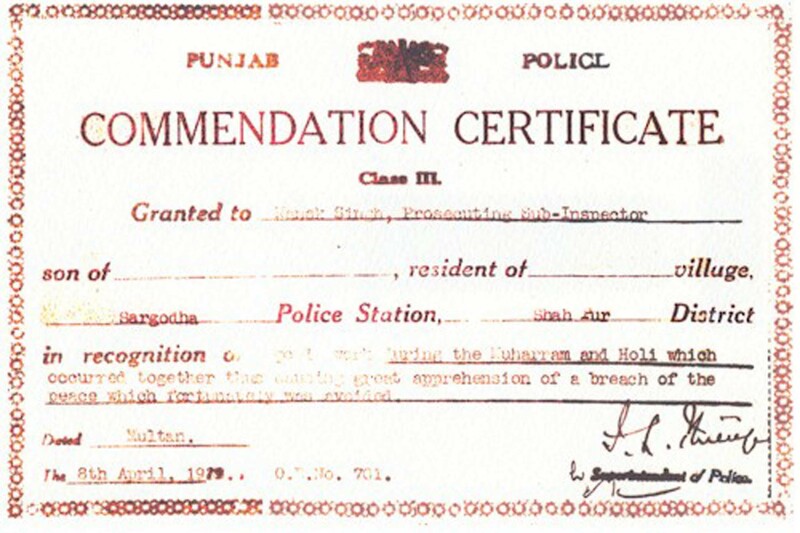 Lt Ujager Singh is the resident of village Bhangal, police station Abohar, district Ferozepur and Lt Sadhu Singh is the resident of village Barhua, police station Rahon, district Jalandhur. 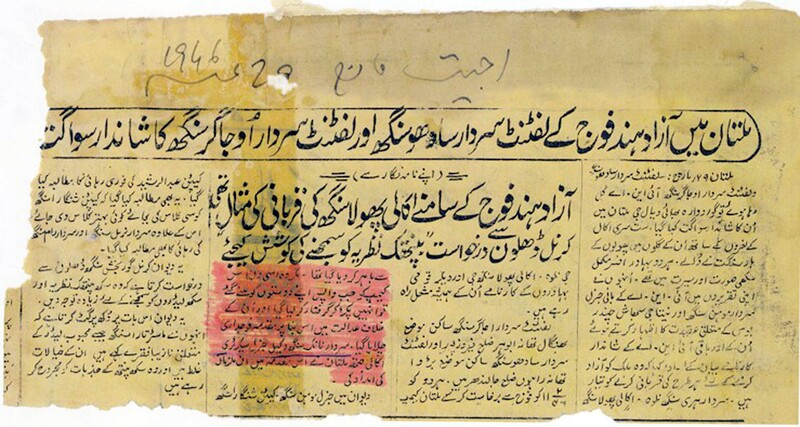 They were dismissed from the army on February 11, 1946 and released from jail. But they were re-arrested and charged under Criminal Law when they returned to collect their personal belongings from the jail. 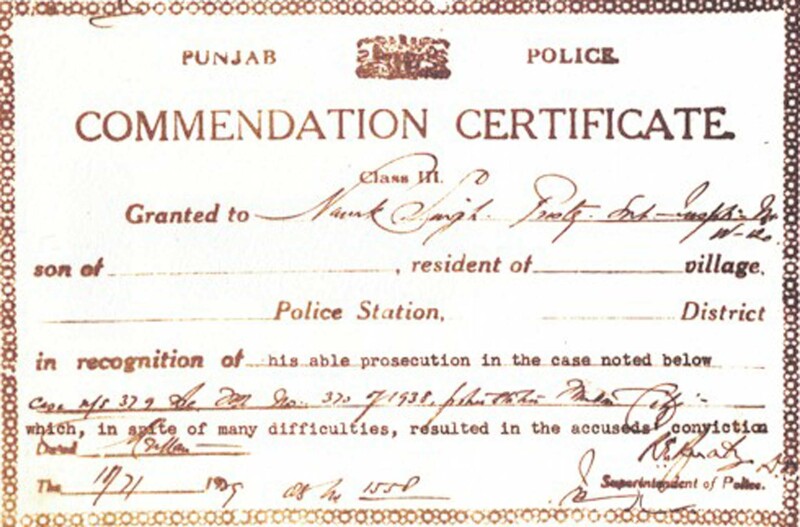 Sardar Nanak Singh, Lawyer, Gen Secy, Akali Jatha, Multan, took up their defence and rendered great help. At that Diwan (gathering) a resolution was passed demanding prompt release of Gen. Mohan Singh, Capt Shingara Singh Capt Abdul Rashid. The congregation made an earnest appeal to Col Gurbaksh Singh Dhillon to understand the point of view of the Sikh Panth and the Sikh leaders. The congregation expressed their regret that he had used unsuitable language for such popular and prominent leaders like Master Tara Singh. 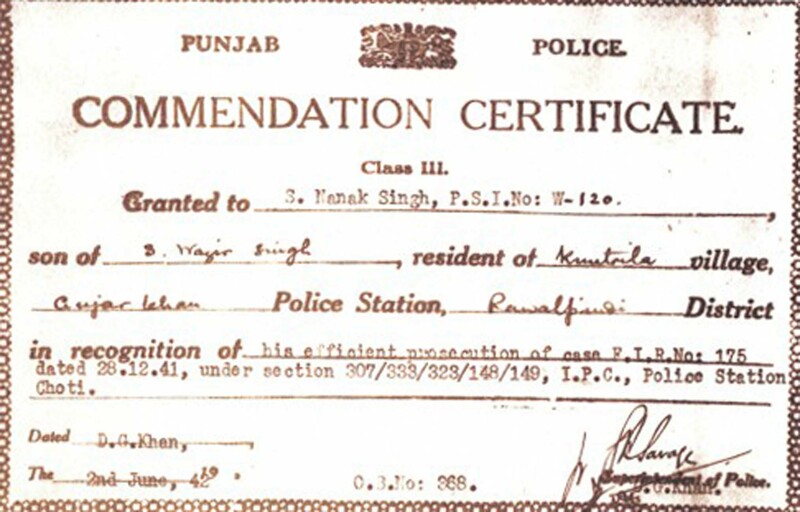 The congregation regarded his views wrong and believed he was injuring the feelings of the Sikhs. He threw away his illustrious Police career when he was ordered to open fire on an unarmed procession of freedom lovers in Sargohda, now in Pakistan. He challenged his superior's immoral orders especially when people were taking part in a peaceful rally and there was no threat of rioting. 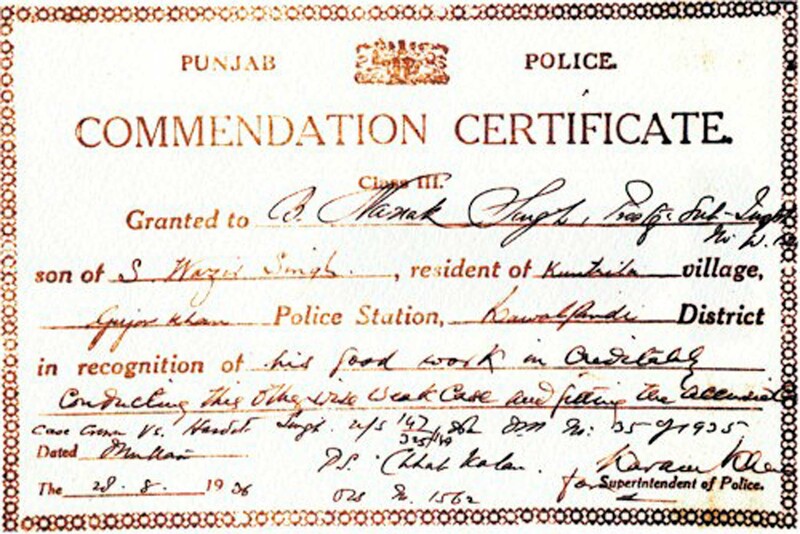 He refused to be take part in another episode similar to that of Jalianwala Bagh.